The choking death of Eric Garner on video in 2014 helped bring the debate on interactions between white police officers and unarmed African Americans to the national forefront. Eric Garner was born on September 15, 1970, in New York City, New York. Garner, whose mother was a subway operator, grew to 6 feet 3 inches tall and weighed 350 pounds. He worked as a mechanic and then in the city’s horticulture department for several years before health problems, including asthma, sleep apnea, and complications from diabetes, forced him to quit. He had six children, ranging in age from eighteen years to three months, and was with his wife, Esaw, for over twenty years. Although Garner was known in his community as a ‘gentle giant,’ he was arrested over thirty times in his life, mostly for lower level offenses such as selling untaxed cigarettes, driving without a license, and marijuana possession. 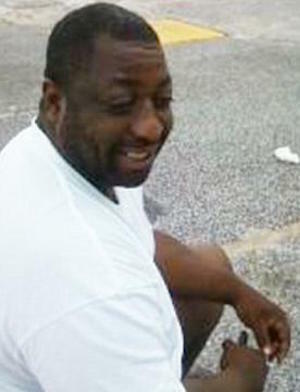 A short time later, forty-three-year-old Eric Garner was pronounced dead at Richmond University Hospital. Although police argued Garner was resisting arrest, the chokehold used by Officer Pantaleo had been cited as a ‘dangerous maneuver’ by the NYPD and officially banned in 1993. On August 1, 2014, the city medical examiner classified Garner’s death as a homicide, and a grand jury was convened on August 19 to hear possible charges against the officers involved. On August 23, over a thousand protesters demonstrated peacefully near the site where Garner died. As November 2014 came to a close, a grand jury decision in the Garner case was imminent. Meanwhile another unarmed black man, twenty-eight-year-old Akai Gurley, had been mistakenly shot and killed by an NYPD officer on November 20 in the darkened stairwell of a Brooklyn housing project, and officials in Ferguson, Missouri, declined to charge an officer there in the shooting death of yet another unarmed African American, eighteen-year-old Michael Brown. In response, thousands of protesters rallied in New York City on November 25, blocking traffic on busy streets, bridges, and tunnels. On December 3, the grand jury declined to bring criminal charges against Officer Pantaleo. In the aftermath of Eric Garner’s death and the grand jury’s decision, “I can’t breathe” became a massive topic on social media and a rallying call among protesters around the country. During warm-ups before a December 8, 2015 NBA game in Brooklyn between the Brooklyn Nets and Cleveland (Ohio) Cavaliers, players on both teams, including Cleveland superstar LeBron James, wore “I can’t breathe” t-shirts. Other NBA stars such as Derrick Rose of the Chicago (Illinois) Bulls and Kobe Bryant of the Los Angeles (California) Lakers also wore the shirt. These high-profile demonstrations were publicly endorsed by President Barack Obama afterward. In July 2015, a $5.9 million settlement was paid to the Garner family, with the city of New York admitting no liability. “Known for his death, this was Eric Garner’s life,” Headline News, December 5, 2014, http://www.hlntv.com/article/2014/12/04/who-was-eric-garner; Andrea Garcia-Vargas, “11 Facts You Should Know About Eric Garner’s Death,” Upworthy, December 4, 2014, http://www.upworthy.com/11-facts-you-should-know-about-eric-garners-death; Andy Newman, “The Death of Eric Garner, and the Events That Followed,” The New York Times, December 3, 2014, http://www.nytimes.com/interactive/2014/12/04/nyregion/04garner-timeline.html#/#time356_10536; Joseph Goldstein & Nate Schweiber, “Man’s Death After Chokehold Raises Old Issue for the Police,” The New York Times, July 18, 2014, http://www.nytimes.com/2014/07/19/nyregion/staten-island-man-dies-after-he-is-put-in-chokehold-during-arrest.html?smid=pl-share&_r=0; Martin Pengelly, “Eric Garner’s family to receive $5.9m settlement from New York City,” (London) The Guardian, July 15, 2015, https://www.theguardian.com/us-news/2015/jul/13/new-york-city-pays-59m-in-settlement-with-family-of-eric-garner; Marissa Payne, “President Obama endorses LeBron James’s ‘I Can’t Breathe’ shirt,” The Washington Post, December 19, 2014, https://www.washingtonpost.com/news/early-lead/wp/2014/12/19/president-obama-endorses-lebron-jamess-i-cant-breathe-shirt/. Breathe’ shirt,” The Washington Post, December 19, 2014, https://www.washingtonpost.com/news/early-lead/wp/2014/12/19/president-obama-endorses-lebron-jamess-i-cant-breathe-shirt/.